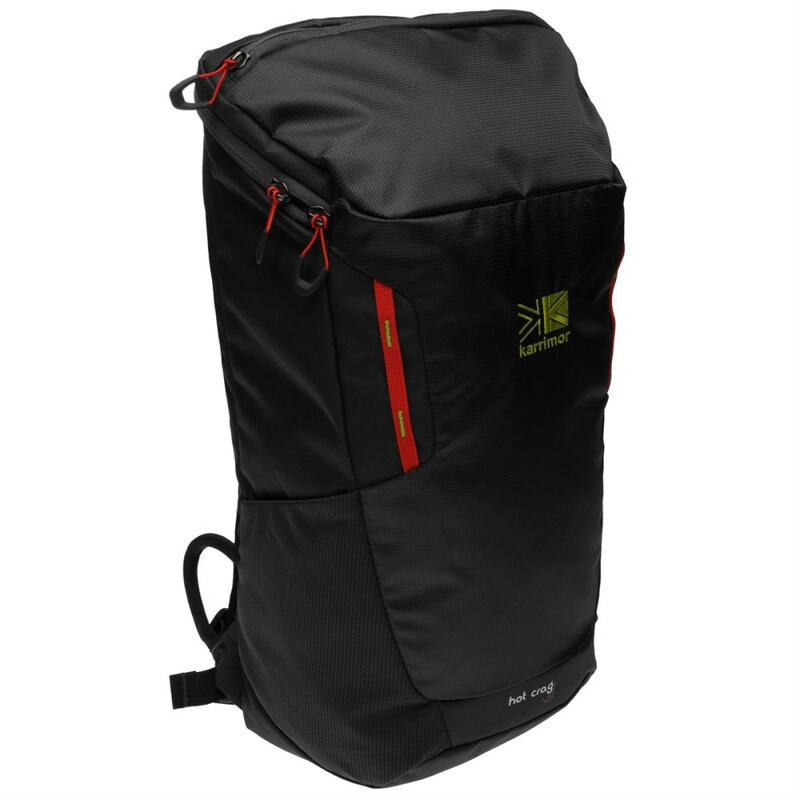 Carry around your essentials with this Karrimor Hot Crag Rucksack, built with one small zippered compartment for easy access and one large main compartment. 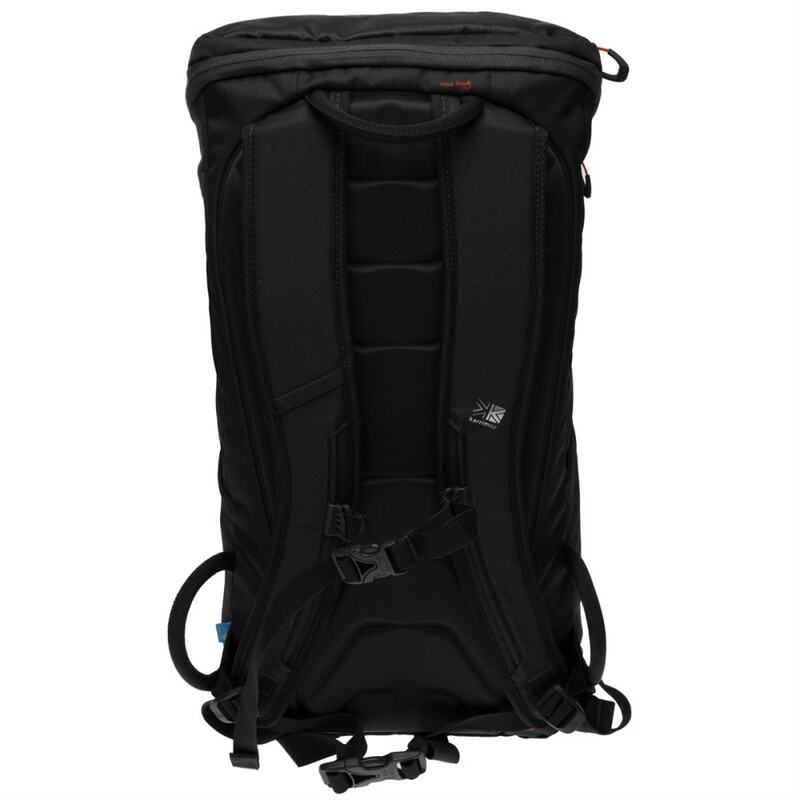 For organization, the larger compartment includes an open sleeve for dividing and organizing your gear and another smaller, zippered one for super-safe storage. The top features a small port for a hydration tube and two mesh panels on the sides for storing drinks or snacks. 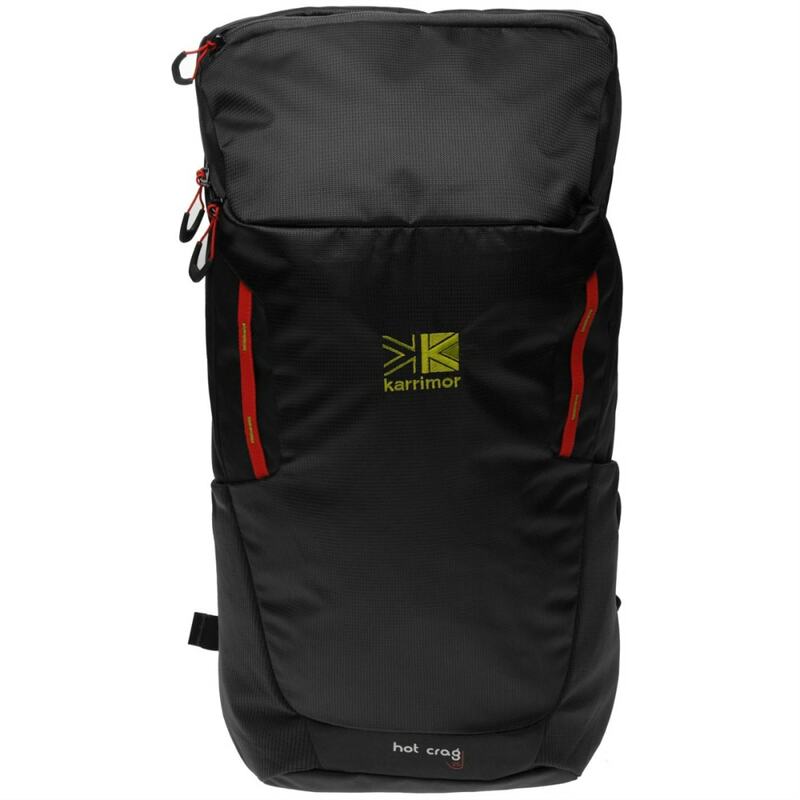 Adjustable, padded straps on the back offer a comfortable feel, and buckle fastening improves support. Dimensions: H: 22.83 x W: 14.57 in.